Szymon Zurkowski confirms he has decided to join Fiorentina after the club approached him last year for his services. It’s reported the deal is worth €3.7m plus another €1.3m in performance-related bonuses, but he won’t make the move until July. “I let my agent take care of everything. 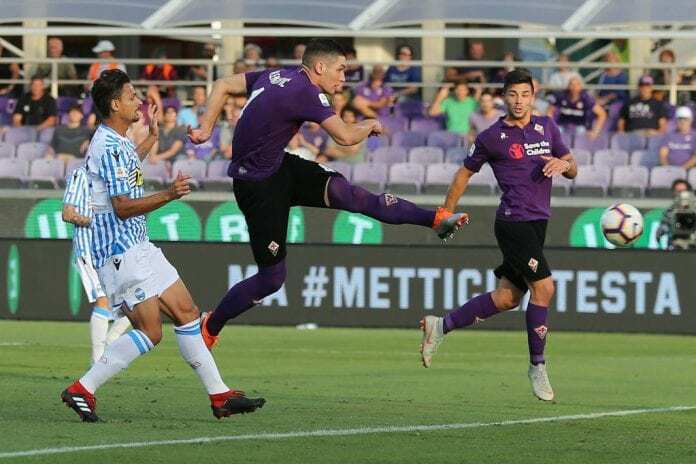 Fiorentina had already approached me last year, so I am happy they didn’t forget me and renewed the offer,” the 21-year-old revealed via a quote cited via Football Italia. Informa @AlfredoPedulla: La Fiorentina ha cerrado el fichaje de SZYMON ZURKOWSKI para el próximo mes de julio. The new "Fiore" coach Vincenzo Montella led his team to a 0-0 draw with Bologna, and he explained his changes during the game. There were also reports of interest from the likes of Juventus and Cagliari. “My agent told me there was some contact with Juventus, but I don’t interfere in these matters. I trust him. The most important thing for me was to see out the season at Gornik, because I couldn’t leave the club when they need me the most. Krzysztof Piatek made a €35m plus bonuses transfer from Genoa to Milan this week and a photo went viral of the 11-year-old Poland international lying on a Milan beach towel. “To be honest, I think I had one of those Milan towels as well,” confessed Zurkowski.